HUB International’s vision is to be the leading sales and service organization in the insurance industry. 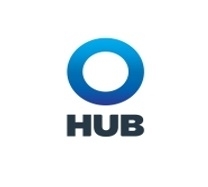 HUB continues to grow and seeking a dynamic Account Assistant to join our Commercial Lines team based in Oakville, Ontario. This is an ideal role for a strong team player who is detailed oriented, enjoys working with people and a commitment to deliver results on required deadlines. This role will require a flexible individual to adapt to the growth of the business! Choose a career with HUB International and take the first step toward creating a future that combines a diverse, challenging work environment with financial security and satisfaction. By joining HUB you will become part of rapidly growing company that offers significant opportunity for advancement and growth. HUB is a company where your contributions will make a difference. HUB International Ontario offers a full spectrum of insurance and related services, including Property/Casualty, Home & Auto, Employee Benefits, Wealth Management and Risk Services, to a large and diverse client base. Internationally we are a leading insurance brokerage offering products and services with offices in Canada and the US. Take the first step toward creating a future that combines a diverse and challenging work environment in a rapidly growing company that offers significant opportunity for advancement and growth.